Detox Salad Bowl. 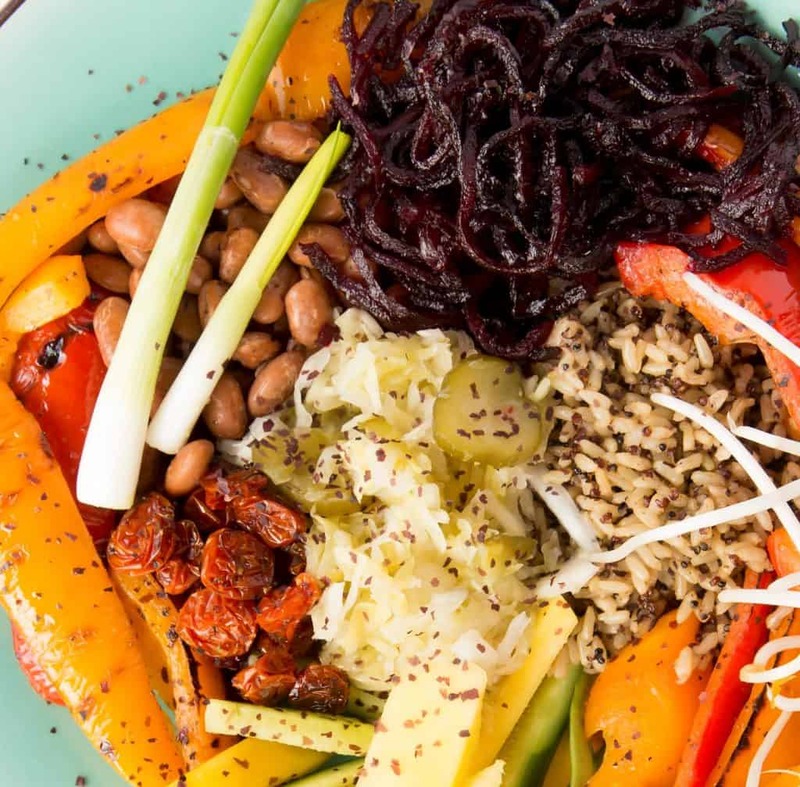 A detox bowl is full of healthy goodness, and offers many options for combinations. The best part is, every bowl that you make can be delicious as well. 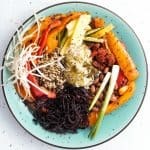 My detox bowls feature as many vegetables as I have, protein with beans, fiber with brown rice and quinoa, fruits, a fermented vegetable and a sea vegetable. This bowl has brown rice and quinoa, grilled red and yellow peppers, cucumbers, maple glazed beets, sun dried tomatoes, bean sprouts, green onions, sauerkraut, a few slices of mango and sprinkled with dulse flakes. So much goodness, nutrition and flavor with this combination. Add your favorite dressing, or you may find that the flavors are enough just like they are. 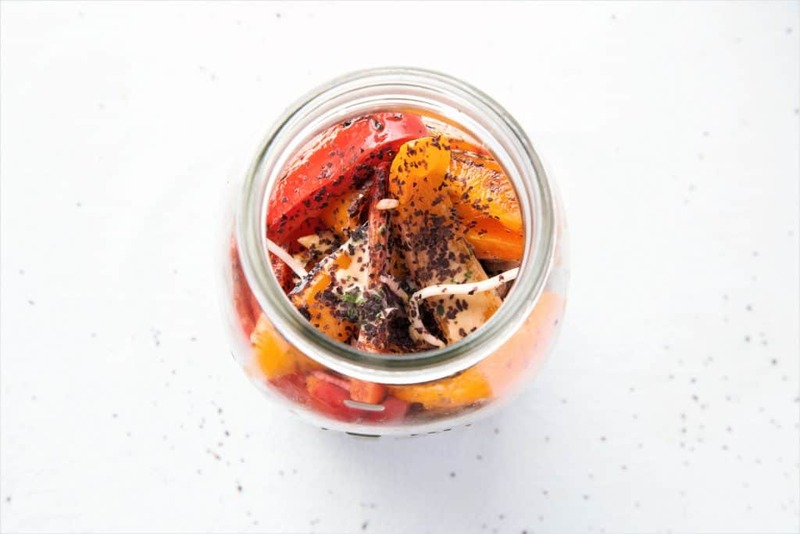 Toss the salad into a jar, and take it on the go and serve with your favorite green juice! Vegan, gluten free, dairy free. Delicious detox salad featuring vegetables, fruits, fiber, protein, fermented veggies and sea vegetables. So healthy and yummy. This bowl is assembled with all of the above ingredients. Some take time to cook but if you don't have time to make Maple Glazed Beets, use fresh beets. If you don't have time to make Sun Dried Tomatoes, use fresh tomatoes.